“The entire house was filled. Every room was covered." The outside of the white house looked fairly ordinary — but the inside held a sad, shocking secret. 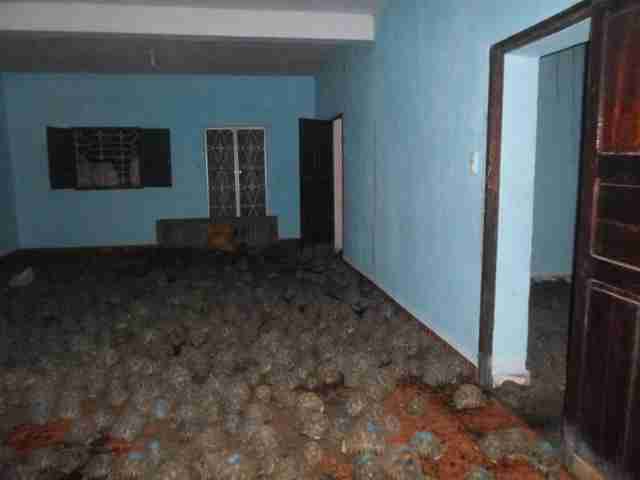 After receiving a tip-off, police broke into a home in Toliara, Madagascar, on Tuesday night, and found 11,000 critically endangered radiated tortoises trapped inside. The radiated tortoise is an unusual-looking animal with a high-domed shell decorated with a star pattern. 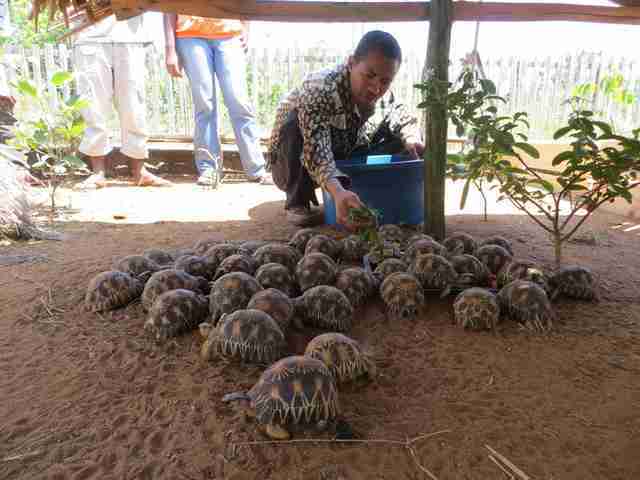 Unfortunately, their unique appearance has made them highly desirable to pet owners around the world — wildlife smugglers continually steal these tortoises from southern Madagascar and ship them to Asian countries to be sold as pets. 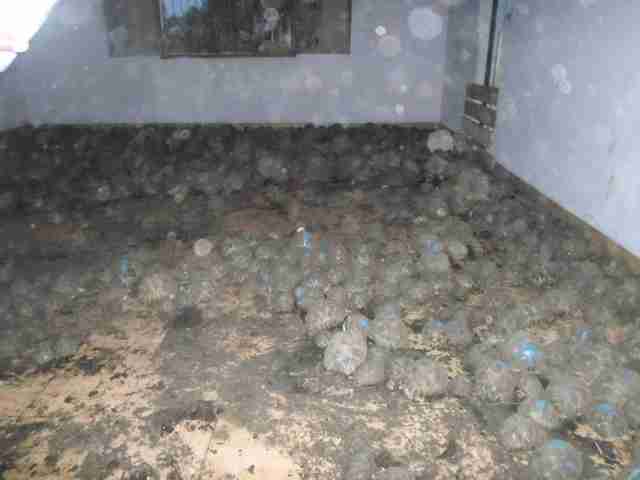 Hudson believes the 11,000 tortoises found in the house were also destined for the pet trade. 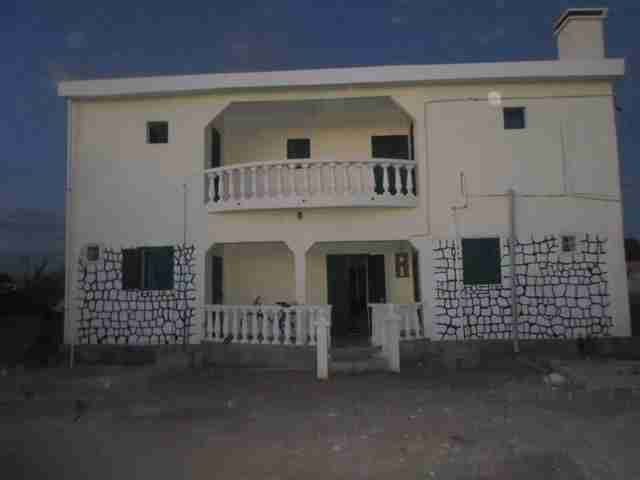 At the moment, no one knows how long the tortoises were kept inside the house, but they weren’t being properly cared for. 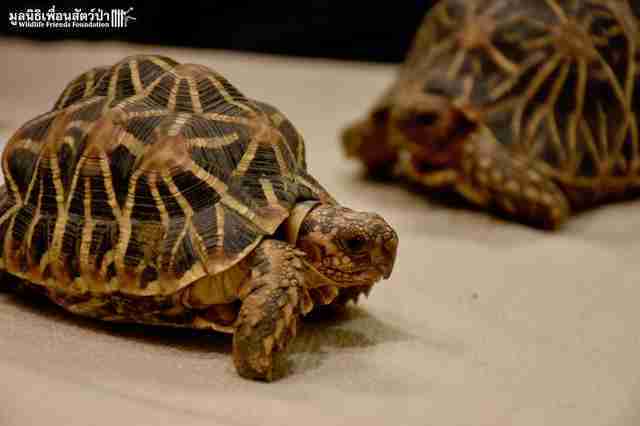 Sadly, about 300 tortoises have already died from neglect. Rescuers transported the tortoises to a nearby tortoise sanctuary, although the sanctuary is struggling to care for so many new arrivals in addition to its current residents. TSA sent a group of vets to assist, but caring for such a large group of tortoises will still be a challenge. The rescue team will work hard to help the surviving tortoises, who will hopefully be released back into the wild — but wildlife trafficking is having a huge and detrimental effect on the radiated tortoise. While it’s difficult to gauge how many radiated tortoises are left in the wild, Hudson explained that populations are plummeting at an alarming rate. The pet trade is the biggest threat to the radiated tortoise, but bushmeat is another — people are also killing these tortoises and eating their meat, Hudson explained. Richard Thomas, global communications coordinator for TRAFFIC, an international wildlife monitoring network, is also concerned for the future of the radiated tortoise. At the moment, many questions remain unanswered, but Hudson hopes they’ll have answers soon. 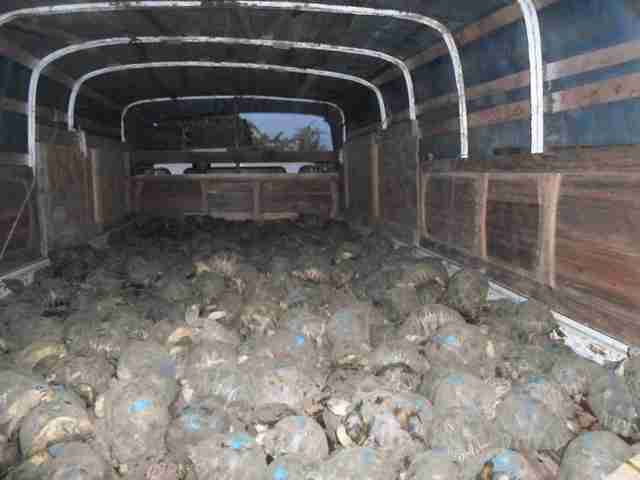 Local police have taken three men into custody in connection with the capture of these 11,000 tortoises. The upside of this whole situation is that local authorities in Madagascar have disrupted a major poaching ring, Hudson explained. That said, he believes that a lot more work is needed to protect these animals. “We need to get the word out, we need to ramp up international outrage, and put pressure on local authorities to keep doing their job,” Hudson said. To help these tortoises recover and get back into the wild, you can make a much-needed donation to TSA.